Whether it is your first home or your tenth home, a retirement home, or an investment property, buying a new home can seem a bit overwhelming. Knowing all the steps involved in the home buying process ahead of time will help make your experience fun and exciting. 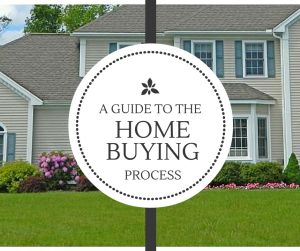 We’ve explained each step below to guide you through your home-buying journey. Here’s a link to download a copy to keep as a reference. The first and most important step is to find a Buyers Agent. Enlisting the services of a professional Buyer’s Agent is similar to using an accountant to help you with your taxes, a doctor to help you with your health care, or a lawyer to represent you in a case. If you had the time to devote to learning everything about accounting, medicine, and the law, you could perform these services yourself. But seriously, who has time for such endeavors? This is why you enlist the help of proven licensed professional. As a legal fiduciary, your buyers agent exclusively represents your interests as they help you find a home, they will guide you throughout the entire home buying process, present your contract offer, look out for your best interest, negotiate the best possible price for you, and close on your home. When working with a buyer’s agent, they will take the time to consult with you to understand your unique lifestyle, needs and wishes. Your agent will help you focus in on exactly what you are looking for and come up with a structured plan, to make this happen. 2. It is your ticket to being able to work with a Realtor and actually enter peoples homes. 3. You won’t waste time considering homes you cannot afford, you’ll know what you can actually purchase. 4. Your offer on a home will be taken more seriously, and the seller may be willing to accept your terms more easily. Your buyers agent will give you access to their MLS system which will allow you to see all the homes for sale that fit your specific criteria, and is the most up to date and correct information. You’ll see complete descriptions, addresses and photos of homes. You’ll be alerted by email about new listings as soon as they hit the market. Your agent will see the same homes and will also alert you if they think a home is the right fit for you. When you find homes you’re interested in, your agent will set up showing times for you to view the homes. And if you find homes, not on the MLS, you’re Realtor will setup those showings and represent you in that process as well. Once you have found the home you wish to purchase, you will need to determine what offer you are willing to make for the home. 1. Price—offer must reflect true market value of the home. 2. Terms—address timing and financial considerations. A buyer’s agent’s experience, reputation and perception play a major role in negotiating terms for you. A buyer’s agent will negotiate in good faith to arrive at an acceptable agreement while still protecting your interests as a first priority. This is one of the most important skills of your Realtor. Working with a person who has specific training in Real Estate Negotiations is advised. Once you and the seller have both agreed on the contract, you both sign off on it, which indicates you now have a binding contract. The home is withdrawn from the open real estate market, no one else can purchase the home before you. A contingency means the contract you and the seller have signed and agreed upon has some items that are still not finalized, but they are to be resolved. Some examples of contingencies are financing contingency, appraisal contingency, or home inspection contingency. Usually you have 10-17 days to resolve any issues and remove the contingency. In the case of a home inspection contingency, your offer may include having a qualified home inspector go through the home and report back to you on the condition. If you do have an issue, depending on the overall deal you’ve struck with the seller, your Realtor will make a request and negotiate a resolution with the seller. At this point, based on the outcome, you can decide whether you want to proceed with the purchase or cancel. If you want to move forward with the purchase, you would then remove the contingency from the contract. Once an offer on a property has been made by a buyer and accepted by the seller, they enter into a legal contract known as a Purchase and Sale Agreement. The purchase and sale agreement is signed approximately 2 weeks after the offer has been accepted and all home inspections have taken place. The purchase and sale agreement will also include any agreements reached about items found during the home inspection. This document outlines the specific terms and conditions of the transaction and is acknowledged by both parties by the signing of the document. Your 2nd deposit is also due at this time. The lender will order an appraisal to be done on the home to determine the value of the home and is worth the amount of money needed to purchase the property. The appraiser will schedule the appointment by contacting the listing agents office. The buyer does not attend an appraisal. The day of or day before closing, you will walk through the home to make sure it is in the same condition as when your offer was accepted and nothing has changed. If anything is missing and/or damaged, the closing may be stopped if the issue can’t be resolved before closing. You’ve already made your 1st deposit with the offer, 2nd deposit at Purchase and Sales signing and now you need to transfer the remaining funds which include the rest of your down payment and any closing costs or prepaid expenses that you owe. Usually, you won’t know exactly the amount you need to pay until 1-2 days before closing. A “closing” is where you and your buyers agent meet with some or all of the following individuals: the Seller, the Seller’s agent, a representative from the lending institution and a representative from the title company, in order to transfer the property title to you. The purchase agreement or contract you signed describes the property, states the purchase price and terms, sets forth the method of payment, and usually names the date and place where the closing or actual transfer of the property title and keys will occur. CONGRATULATIONS! You have closed on your new home and now you are ready to move! Think about your move as a series of small projects that you can begin while your home is under contract. That way, when the day comes to physically move your belongings, most of the details will be taken care of. Download our Home Moving Checklist and Packing Checklist so that your move is as organized and effortless as possible.